The benefits of glass doors: absolute hygienic surface because of the texture of the glass. Glass is resistant to water - drops will roll off ensuring that it maintains its colour and form. 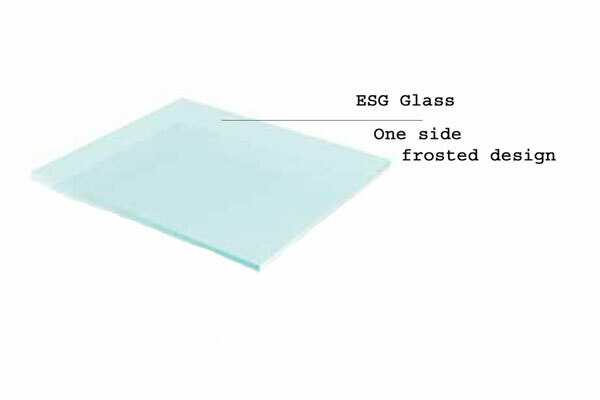 Glass will not expand or warp or be damaged by moisture in any way while the colour of the glass will not be fade over time or by direct light. Equipped with all these advantages, the transparency of glass increases the sense of well-being in a living area. Glass is made from natural, solid, opaque materials (silica sand, limestone and soda), is odourless, neutral and hygienic. It has a very high chemical resistance to water, salt solutions, acids, alkali and organic solvents – a natural advantage. The increasing popularity of including glass doors in modern living spaces is due to the fact that the manufacture of glass is a safer option for the environment. As one of the easiest and least complicated materials to use in a residential area, laminate safety glass ensures the widely successful Light & Harmony glass doors. These premium doors are manufactured to be shock resistance and shatterproof. 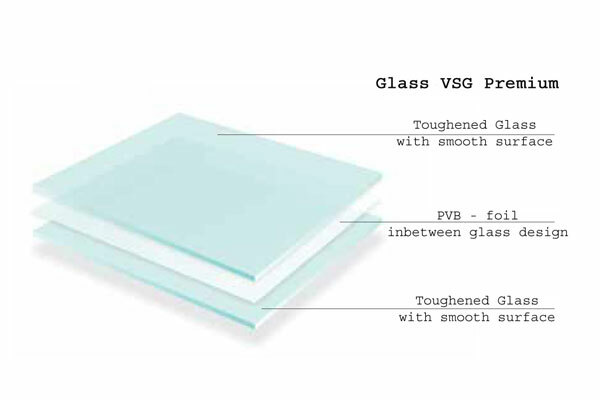 The design is always on the inside of the glass – a PVB film inserted between two glass sheets. The laminate glass doors present a completely smooth finished glass surface – hygienic and easy to clean. These specially constructed characteristics of the Light & Harmony manufacturing processes are the essence of the highest and finest quality glass doors. Make the Bespoke Sliding Glass Doors the centerpiece of the house. Find more doors with specific design below.